Western Europe - Culture Smart! 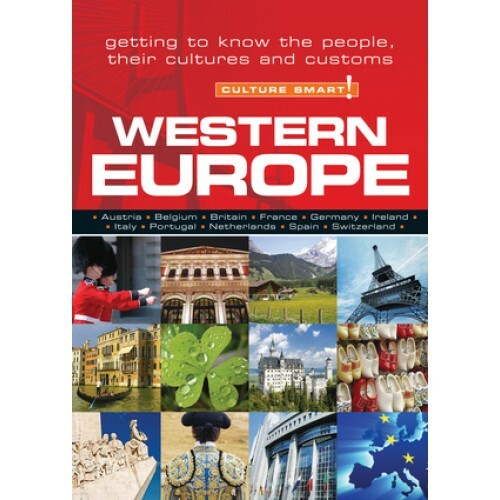 Western Europe is a relatively compact geographical area, containing an enormous diversity of landscapes, peoples, and cultures. The historically competitive Western Europeans are unlike each other in many ways, yet share an underlying system of values, and the restless Western European spirit of enquiry, enterprise, and adventure has had a decisive impact on world history. In the past, their empires spread their languages, religions, arts, and ideologies around the globe, and today the world beats a pathway to their doors. Drawing on the wealth of information in the individual Culture Smart! country guides, it focuses on those situations in each country where visitors are likely to come into contact with local people. Beyond listing the dos and don ts, it explains the cultural context of different or unexpected behavior. It tells you about beliefs and attitudes, and alerts you to local manners and sensitive issues. Full of fascinating insights and practical advice, it will help you navigate your way through uncharted seas, avoid gaffes and misunderstandings, and establish a rapport with people wherever you are.